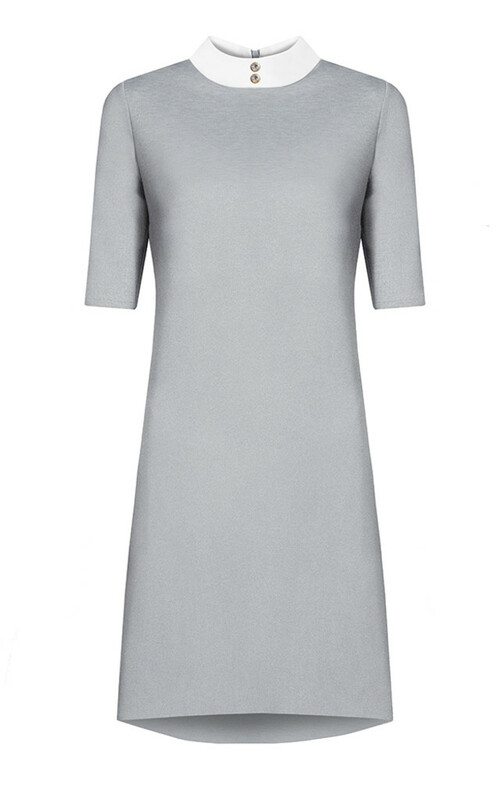 A simple, timeless, melange grey dress made of thicker, durable and good quality fabric , which does not pill and stretch. The top part of dress is fitted, with a perfect profiled, decorated standing white collar, made of cotton. 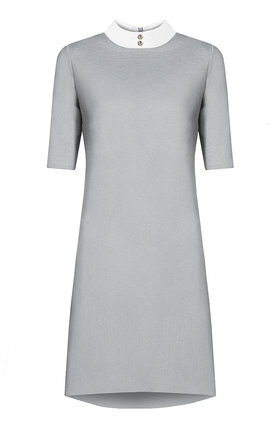 The dress has two large in-seam pockets, hidden zipper on the back, and medium long sleevers ( 27-29cm). The bottom part of dress is a slightly extended.